Phuong Nhan Le joined the CMB staff in September 2015. 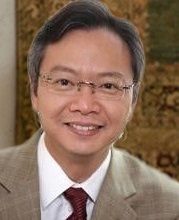 He currently serves as Executive Director of the Equity Initiative, a fellowship program to improve leadership capacity for health equity among young Southeast Asian leaders. He also is the CMB Regional Director for Southeast Asia. Dr. Le is a U.S. Board-certified physician in both internal medicine and pediatrics. He earned a Bachelor of Science in Aerospace Engineering at Georgia Institute of Technology and his Medical Doctor degree at the Medical College of Georgia. He received his MPH from the Johns Hopkins University and his MBA from the University of Hawaii. Dr. Le began working with The Atlantic Philanthropies (Atlantic) in 2000 as a consultant for the Viet Nam Program and subsequently established the Atlantic Representative Office in Ha Noi. From 2003 to 2013, he was the Atlantic’s Country Director in Viet Nam where he was responsible for overseeing a grant making portfolio of over US$384 million for the Population Health and Higher Education programs. As Atlantic started to wind down its Viet Nam program in 2013, Dr. Le founded a U.S.-based non-profit organization, Resources for Health Equity (RHE), to carry on the work of advancing the fundamental rights to health and well-being of vulnerable and disadvantaged populations throughout Southeast Asia.